Fabulous comp! I missed this one when I was absent. 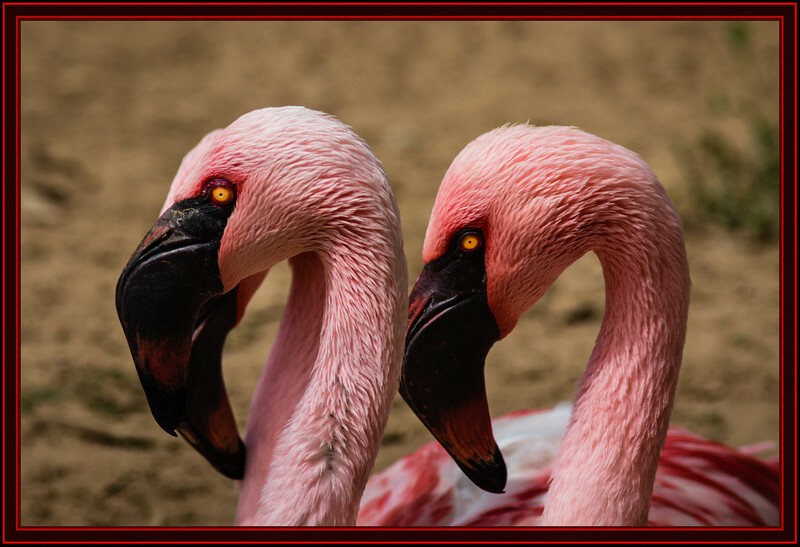 Fantastic capture of these twin Flamingos. Instantly recognizable !! Such a beautiful and unique looking birds !! Lovely pair indeed !! A couple with a third one hiding in the background. But yes, they are very handsome. This is excellent! Love the colors.